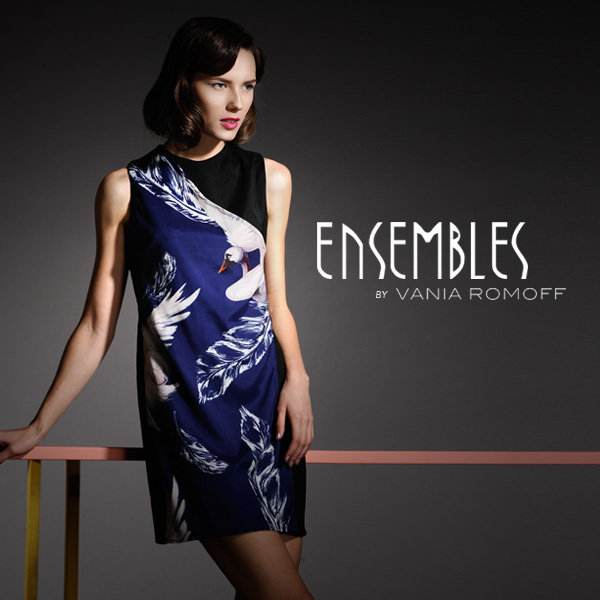 Ensembles is back on its 5th year of its Young Designer Series 2013 with yet another budding fashion designer: Vania Romoff! As you can see, Vania Romoff's designs are mainly classic and feminine, making them perfect for Ensembles. The entire collection consists of various tops, dresses and jumpsuits that are classic, easy to wear, chic and functional all at once. Their silhouettes feature simplistic lines and basic shapes that flatter every woman’s curves, as well. Aside from that, though, this collection also brings together different styles and trends, including prints, soft drapes and color blocking in subtle and neutral colors that properly capture the grace, charm and maturity of a woman. Vania herself describes her collection as "fresh yet timeless" - and it is true. Whether worn at work, at a smart casual event or just on a regular day out, these piece are sure to bring out your beauty and confidence all the time. Watch out for the Young Designer Series 2013 Collection featuring Vania Romoff set to be released this month in Ensembles stores nationwide!